Maybe only the camera improvements make Samsung Galaxy S9 and S9 + new and special, because this is a crucial part of a phone, Samsung Galaxy S9 could make all differences. It will be the most desirable phone in 2018? After the Samsung Galaxy S9 arrives at your hand, it’s necessary to find a good video converter for it, so that you can watch variety of videos in right formats on this big screen with 18.5: 9 display ratio and Dolby Atmos. Any Video Converter is the best free video converter which is requisite in your daily life. 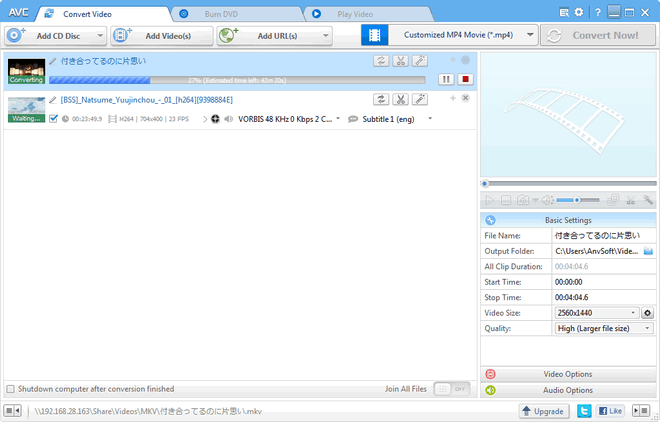 Download and install Any Video Converter Free, then launch it. 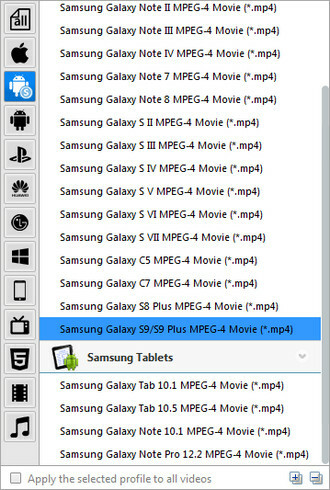 Simply click "Add Videos" button or "Add or Drag Files" to add the videos or DVDs you want to convert for Samsung Galaxy S9. Batch video conversion and merging videos are also supported. Click "Output Profile" drop down menu to select corresponding output profile for Samsung. 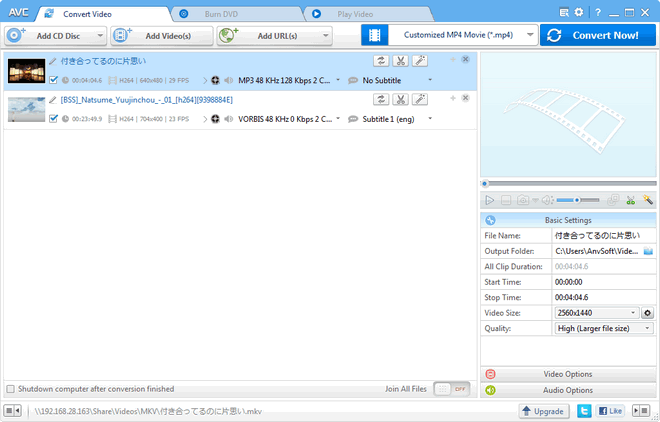 Customized MP4 Movie (*.mp4) is recommended here. Simply click "Convert Now" button to start converting videos to Samsung Galaxy S9. And you can click icon > Video > Open NVIDIA NVENC or OpenCL transcoding acceleration to speed up the conversion. After the conversion completed, you can right click the video and click on "Open Destination File Folder" to find the converted videos. Now, you can transfer the converted videos to Samsung Galaxy S9 via USB cable, or use the third party tool like Syncios Mobile Manager to help you transfer the videos or other more data to Samsung. You just need to simply click My devices > Media on the left panel of Syncios Mobile Manager, then click Add button to select the the converted videos from local drive. Now, you can enjoy videos on your Samsung Galaxy S9. Simply free download it and have a try.